This is just a meal photo, not really a recipe per se. The salad is "spring mix" lettuce, celery, walnuts, and flaked smoked trout. It is dressed with lemon juice and olive oil. Side of cantaloupe wedges. 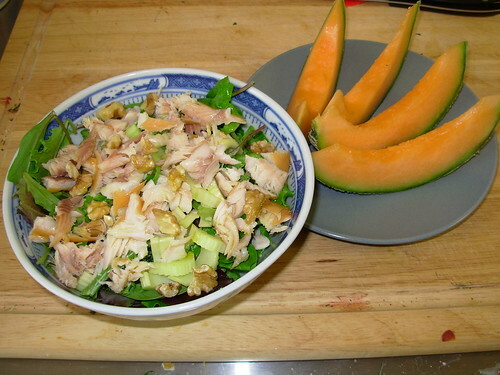 This is a collection of recipes and meal photos to inspire followers of paleolithic style diets.